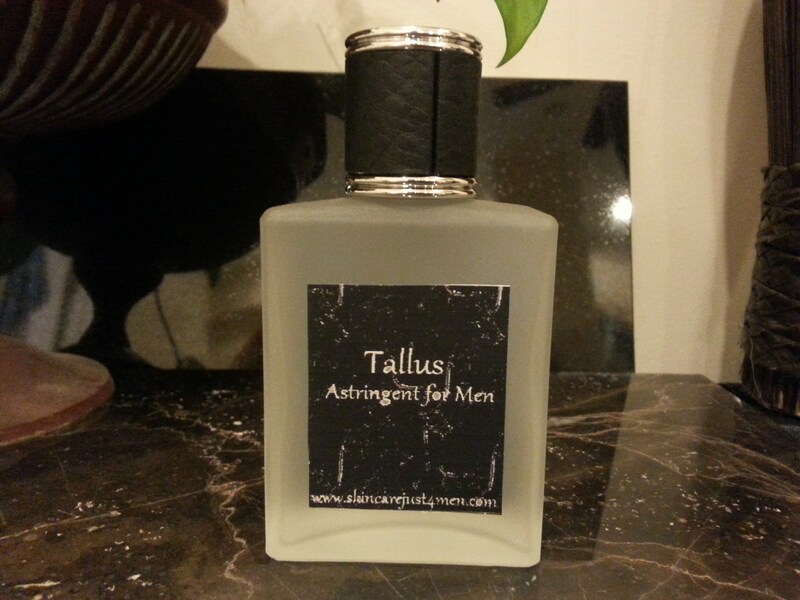 Tallus Astringent is our secont in our line of Skincare for Men, we put together ingredients of: Organic Aloe Leaf Juice, Organic Alcohol, Organic Cranberry Fruit Extract, Organic Lavender Flower Extract, Organic Rooibos Leaf Extract, Organic Green Tea Leaf Extract, Organic Calendula Flower Extract, Organic Oatstraw Extract, Witch Hazel Water. non scented, we like to let the ingredients scent for themselves. 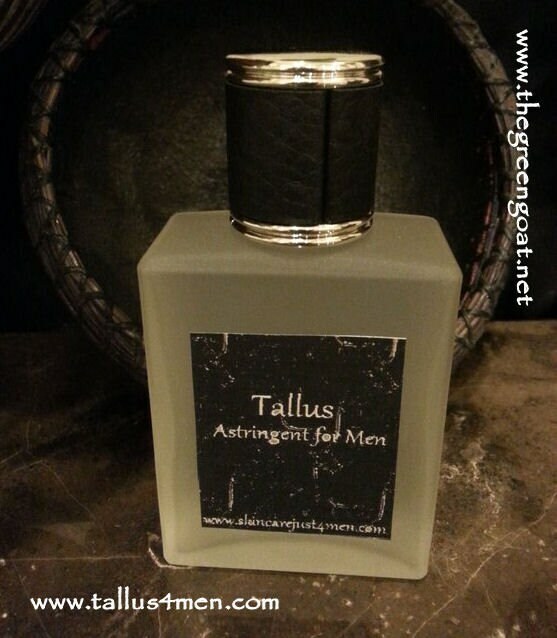 Tallus Astringent is packaged in Glass and will ship via USPS.